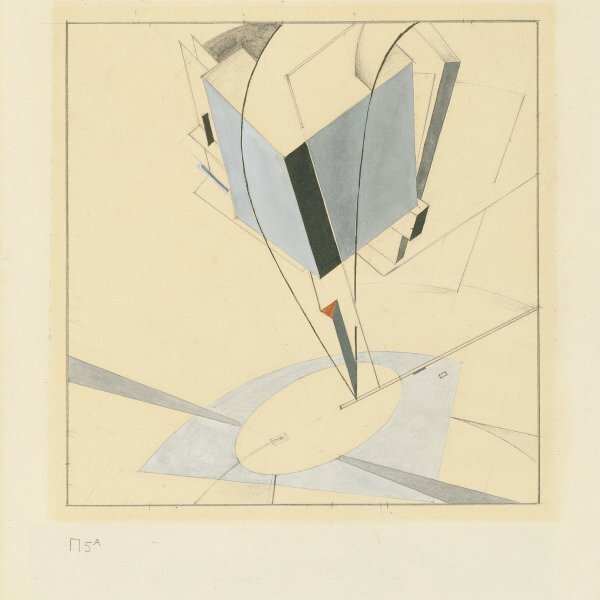 El Lissitzky expressed his political concerns in his art by embracing a formalist trend that led him to abstraction. 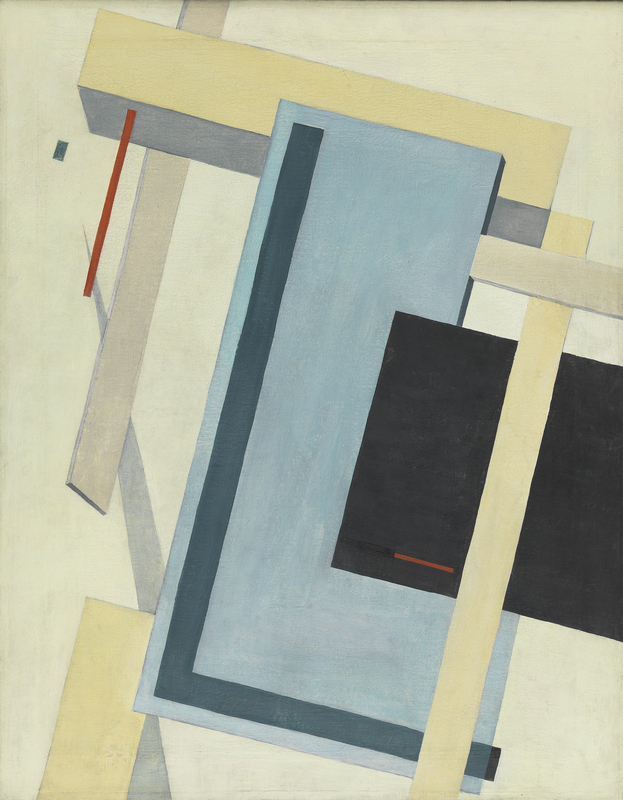 In his Proun paintings, which he created as a metaphor of the changes society was undergoing, the artist harmoniously combined the flat surface advocated by the Suprematists with the laws of Constructivist architecture. In these compositions, which are notable for the precision of their forms, their balance and their clarity, he uses architectural devices but strips them of their architectural function and gives them a new aesthetic value. 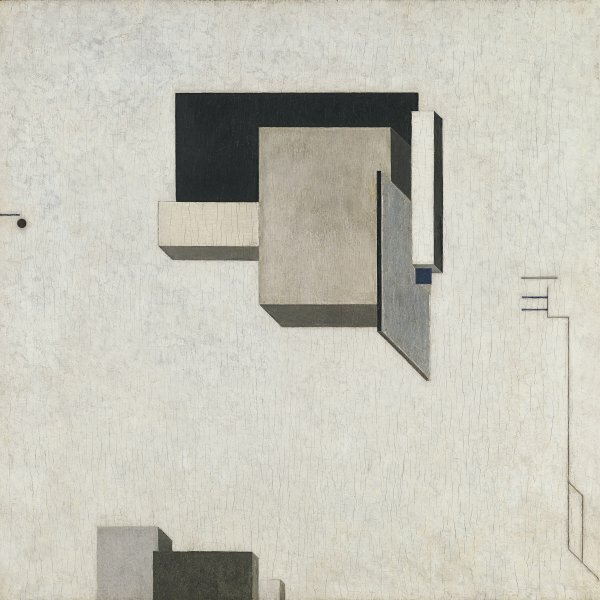 Furthermore, in his Proun paintings Lissitzky found a way of reconciling Tatlin’s utilitarian ideas with Malevich’s Utopian aesthetic and succeeded in developing Suprematism in space. The Museo Thyssen-Bornemisza Proun 5 A is perhaps the closest to Malevich’s Suprematism. The composition is structured around a point above which geometrical shapes rotate or float. The artist’s son Yen Lissitzky certified the authenticity of the work in an inscription on the back of the painting in 1975. There are two watercolour versions of Proun 4 B, which might be preparatory studies for the work on canvas in the Thyssen-Bornemisza collection. El Lissitzky became one of the key figures in European Constructivism in the mid-1920s and during the period he lived in Germany he exerted significant influence on the followers of this movement, particularly the members of the Dutch De Stijl group and the Bauhaus artists.